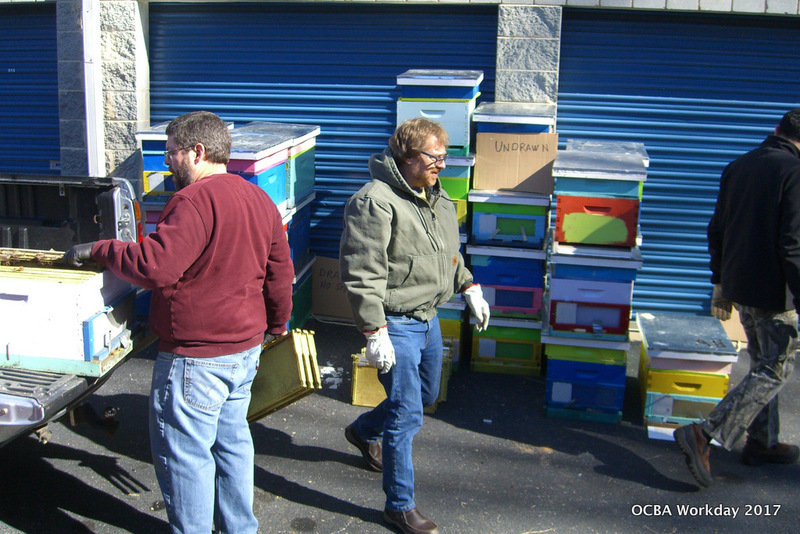 Despite lower than expected temperatures, an OCBA volunteer cleanup crew sorted through the hives that were donated to OCBA in December. Over 20 members volunteered to help with the cleanup day on Saturday, February 4th. 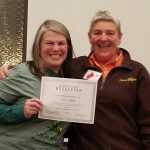 Of the 20 potential volunteers, 6 were selected. 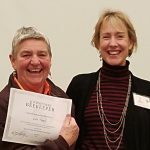 It speaks well of our membership that we had more volunteers than we could efficiently use. Thank you to all 20 who volunteered to help. The 6 volunteers were contacted in the order that they signed up. They worked alongside members of OCBA’s Executive Committee to remove potentially problematic frames – i.e. frames that might attract wax moths while the hives are in storage. 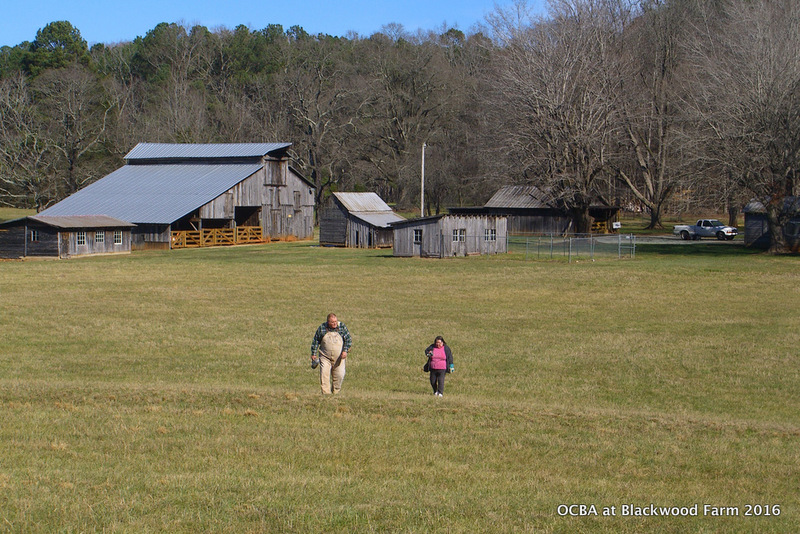 David Eckert was on hand to select equipment for the OCBA Youth Beekeeping Apprentices. 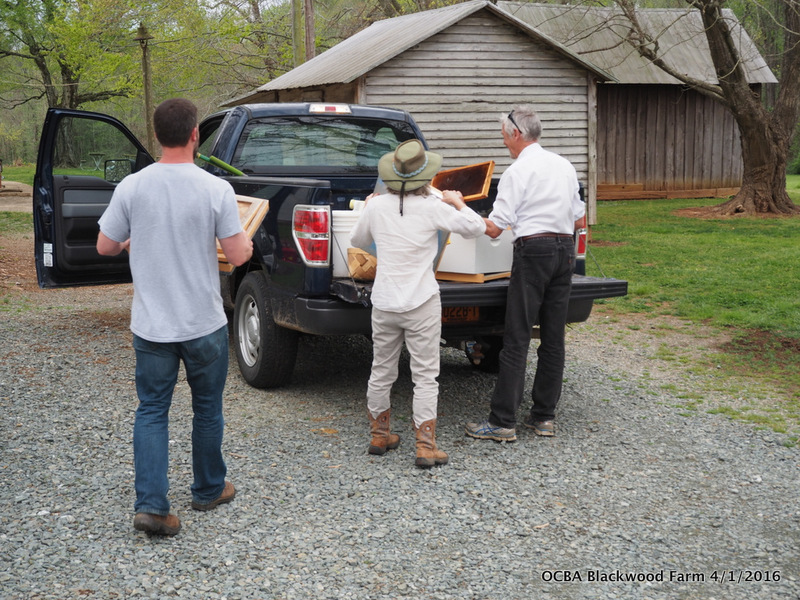 Woodenware was also set aside to replace aging boxes at OCBA’s demonstration hives at Carrboro High School. 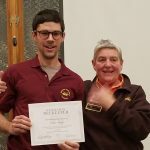 David Eckert loaded up 4 hives for OCBA’s 2017 Apprentices. 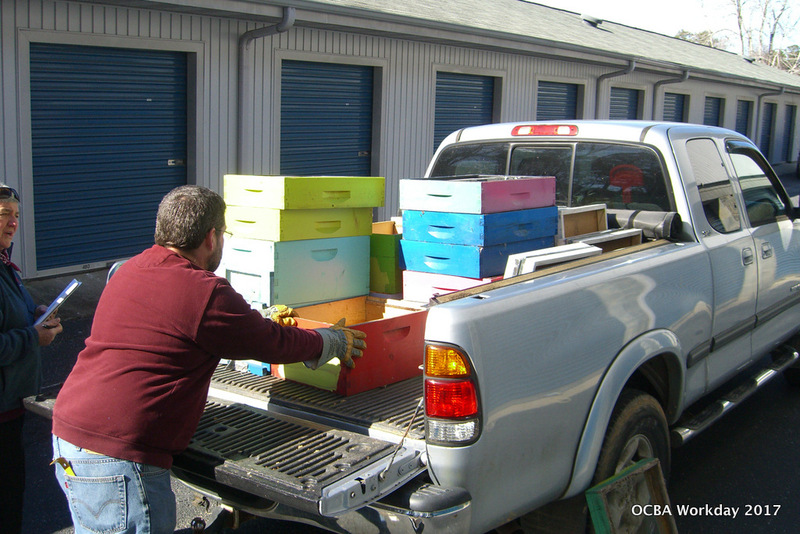 In addition to the hives selected for the 2017 Youth Apprentices, 4 hives were selected and put back into storage for next year’s apprentices. 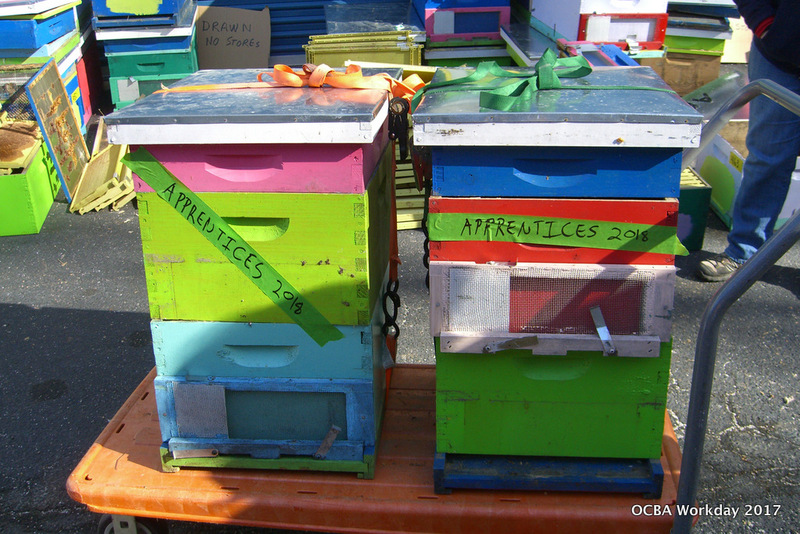 Hives for OCBA’s 2018 Youth Apprentice Program. Approximately 45 hives were opened, inspected, and reassembled into standardized, single-deep hives.